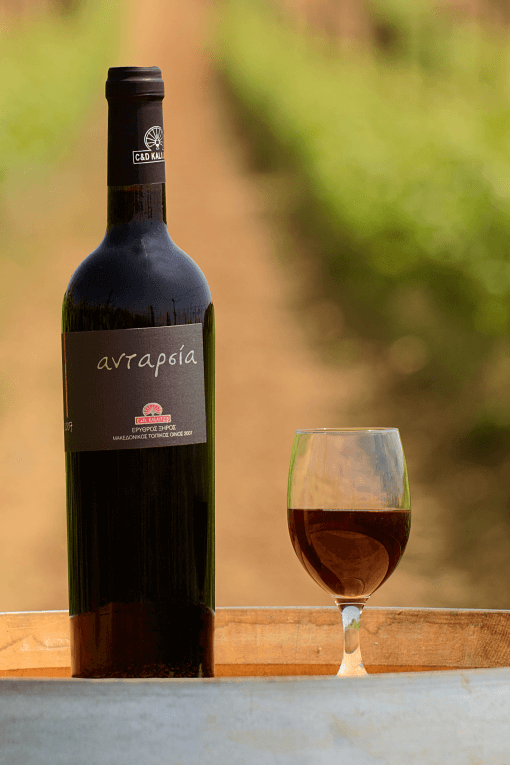 Τhe wine you are holding combines the exuberance of Merlot, of Chalkidiki’s vineyards, with the sophisticated taste of the local variety of Xinomauro coming out of the region of Amintaio. It has been aged in Φrench oak barrels for one year, the result is simply sensational! Enjoy the diversity of its taste not only with food but with fruit as well.